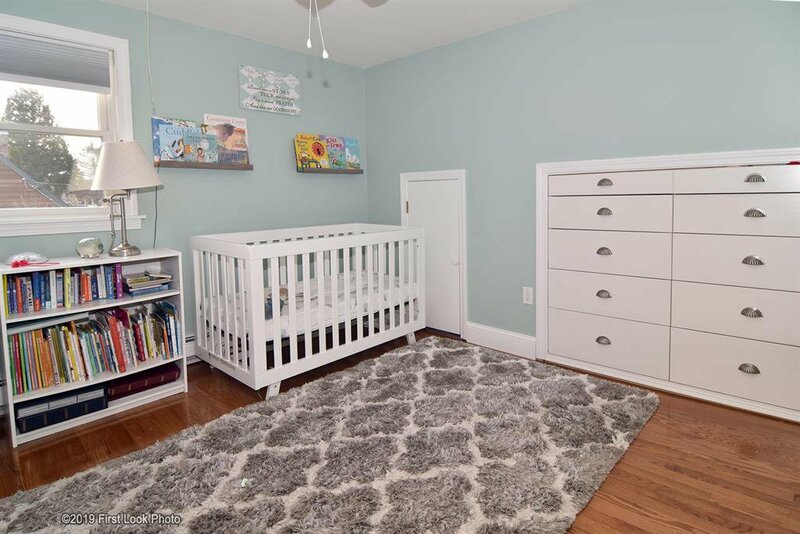 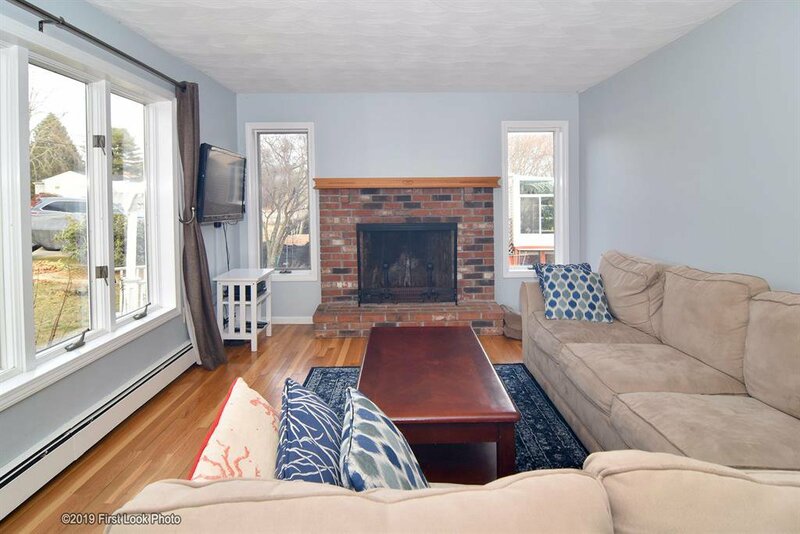 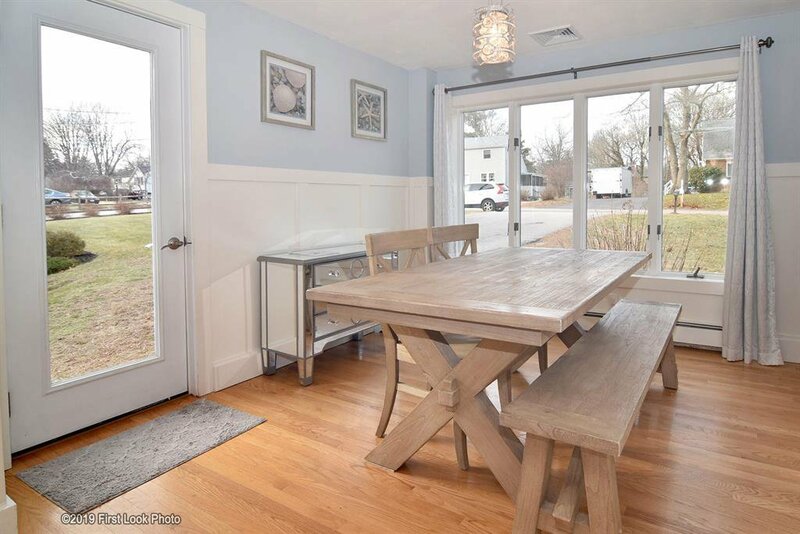 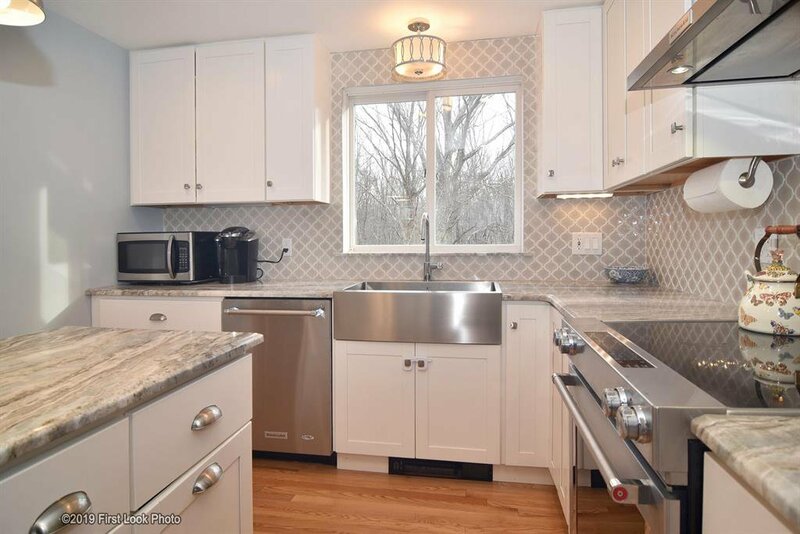 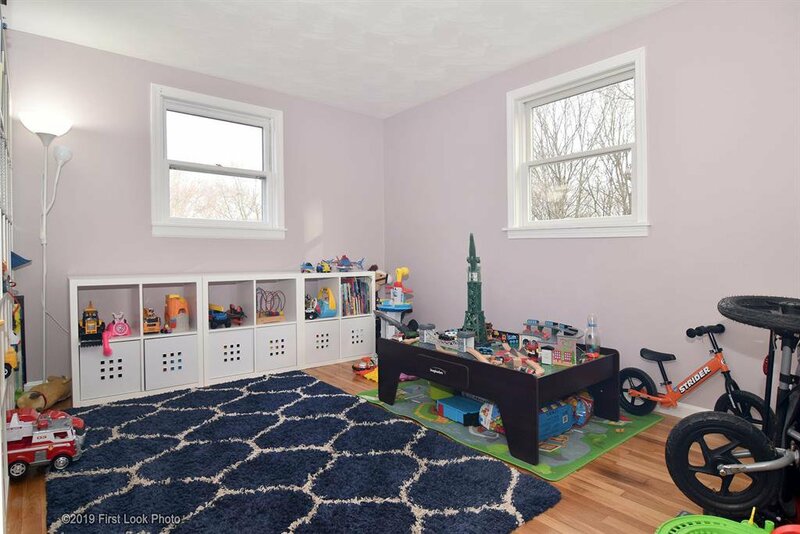 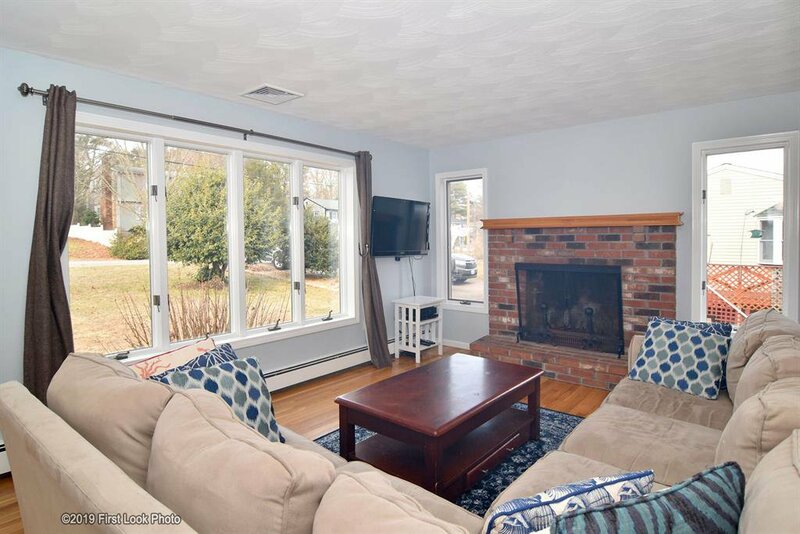 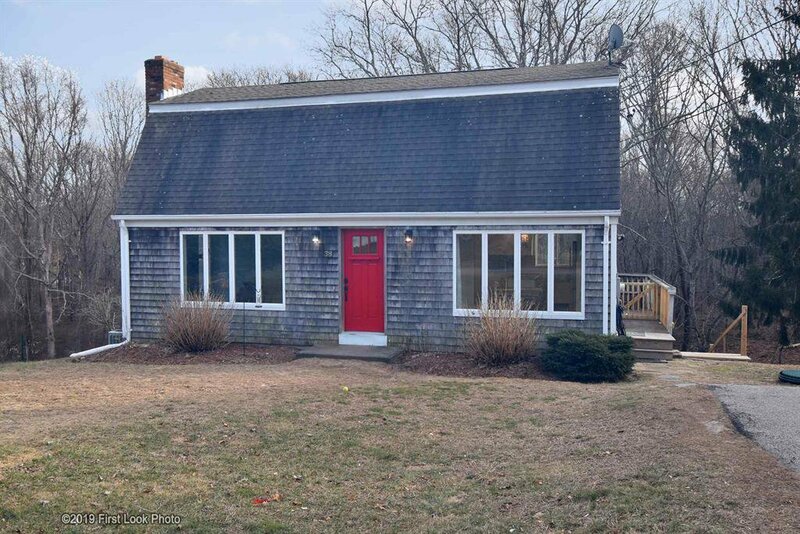 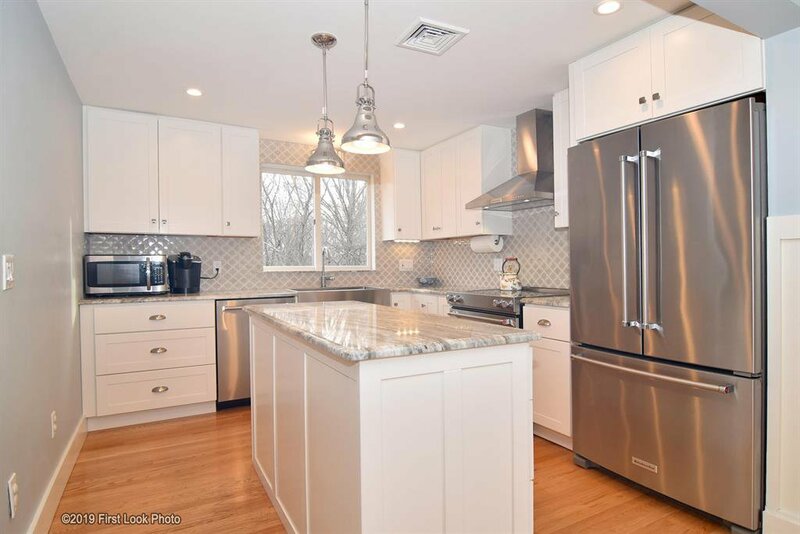 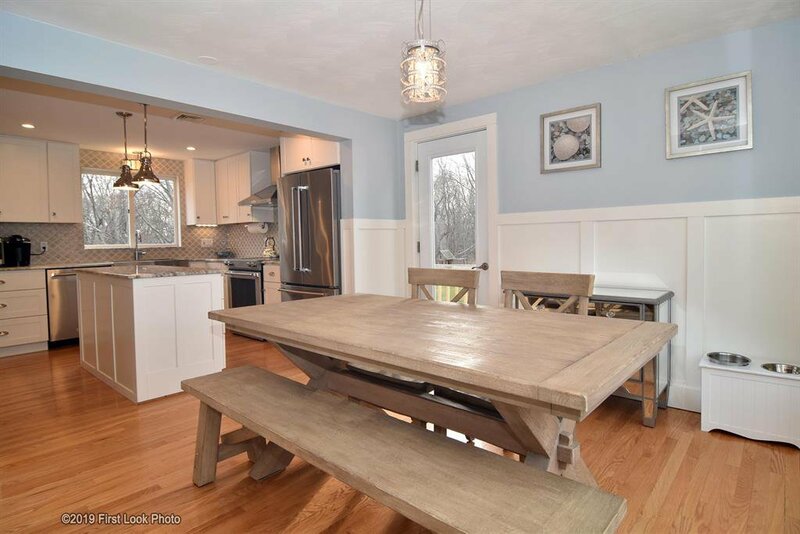 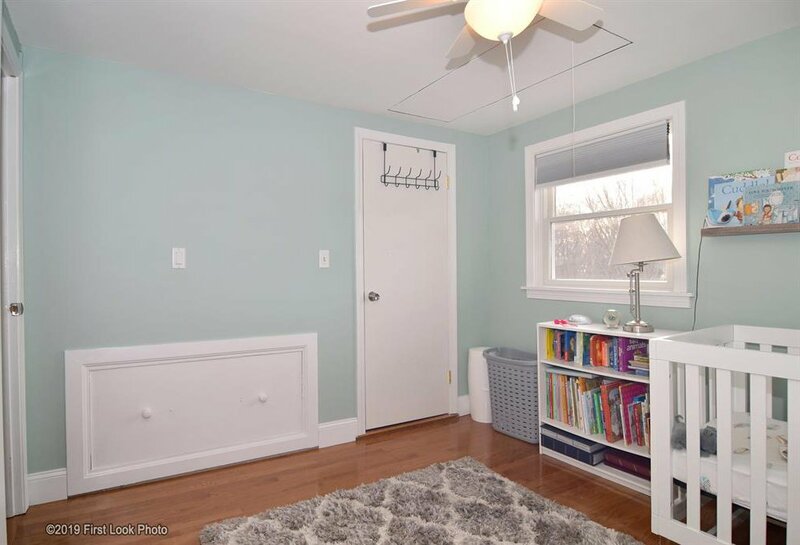 Lovely and bright 3-bed, 3-bath gambrel colonial in popular Rolling Acres neighborhood. 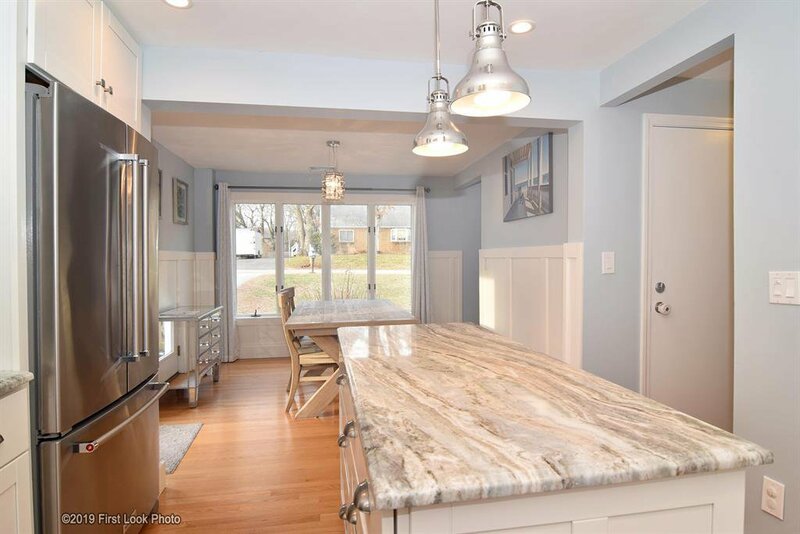 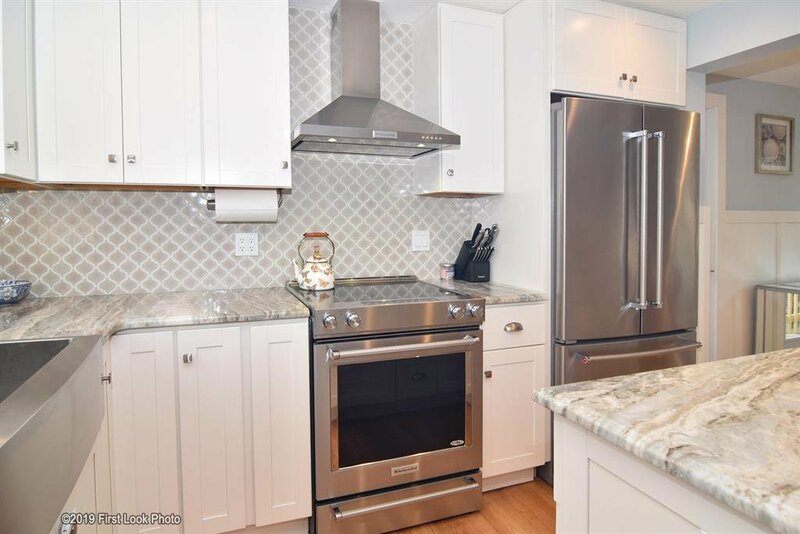 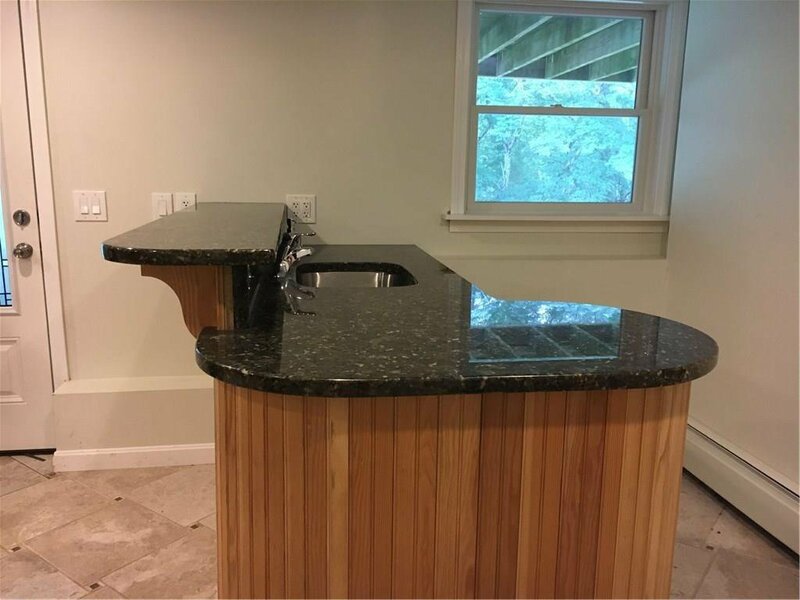 Fabulous new kitchen with island, Kitchen Aid appliances, and granite countertops! 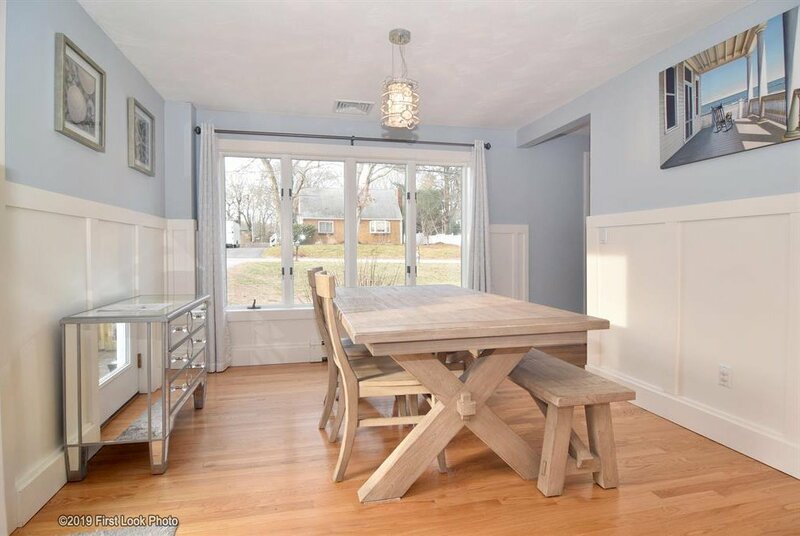 The kitchen is now completely open to the dining room. 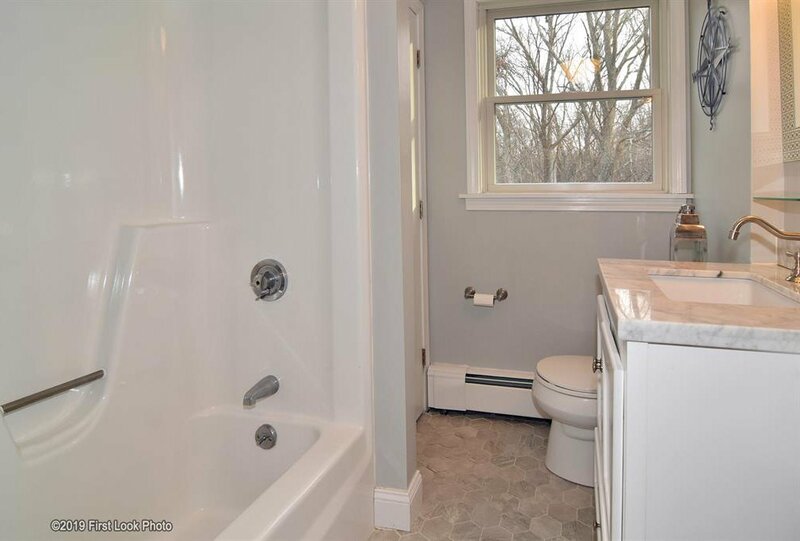 The first floor also has a cozy fireplaced living room, new bath, and bedroom. 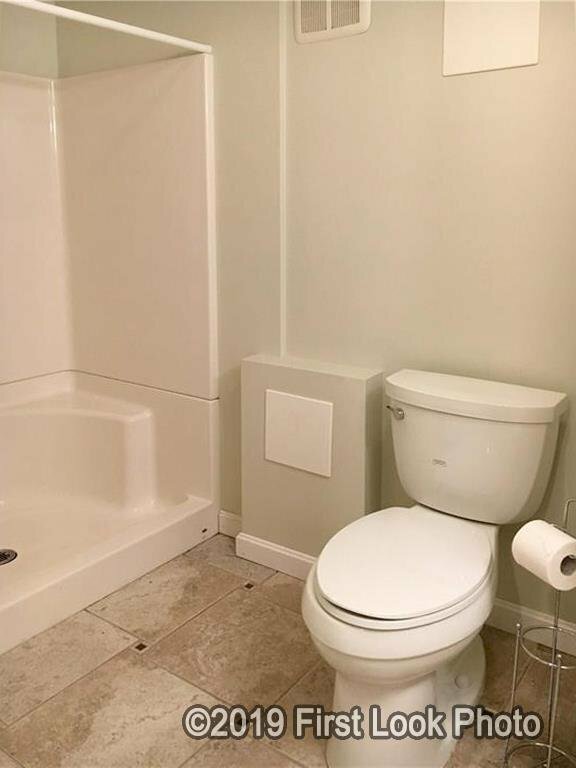 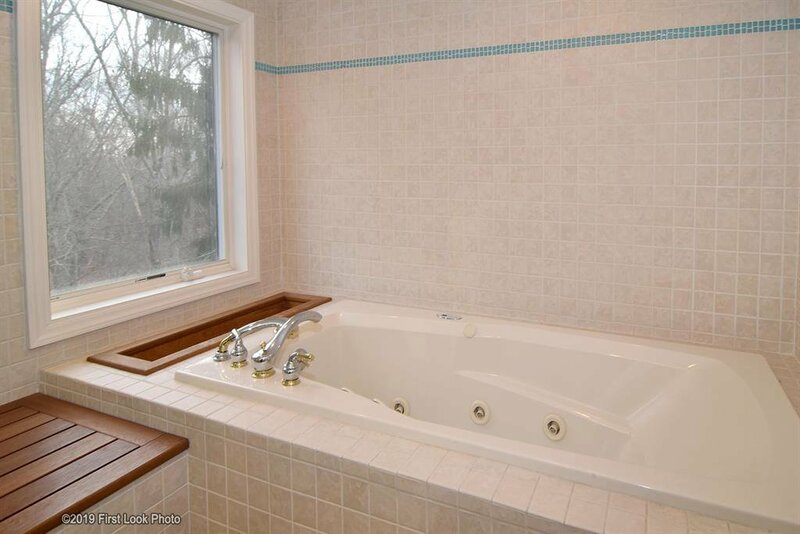 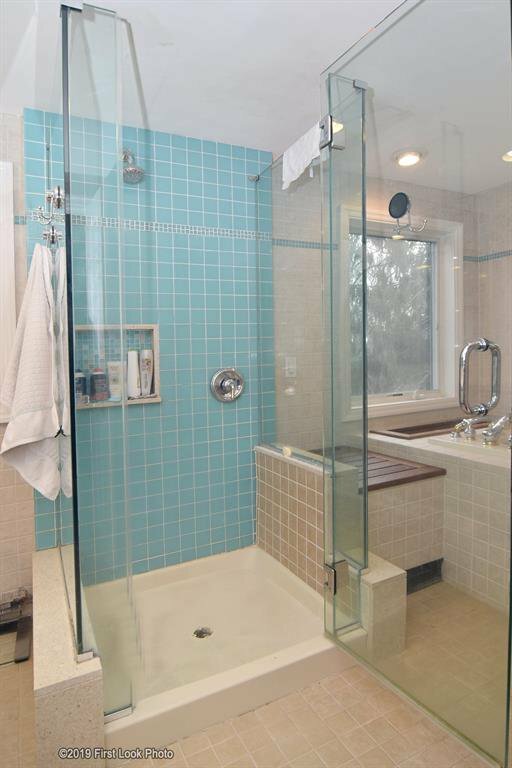 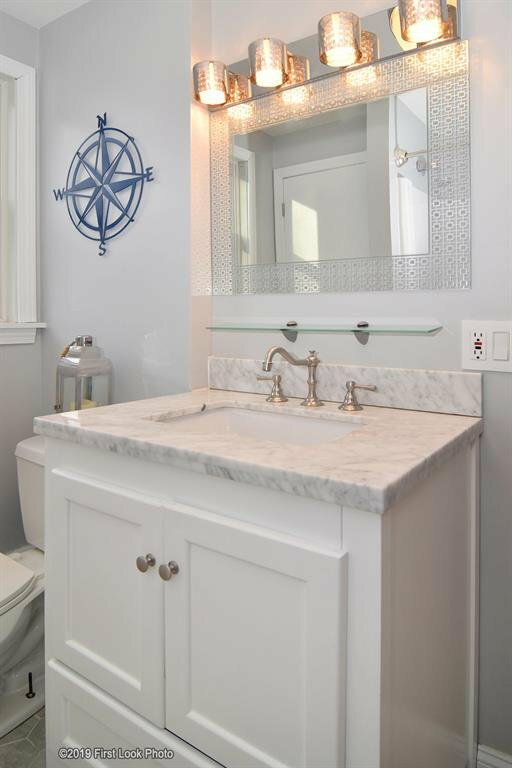 The second floor offers a lovely master bedroom, bath with jacuzzi tub, glass shower stall, and double vanity. 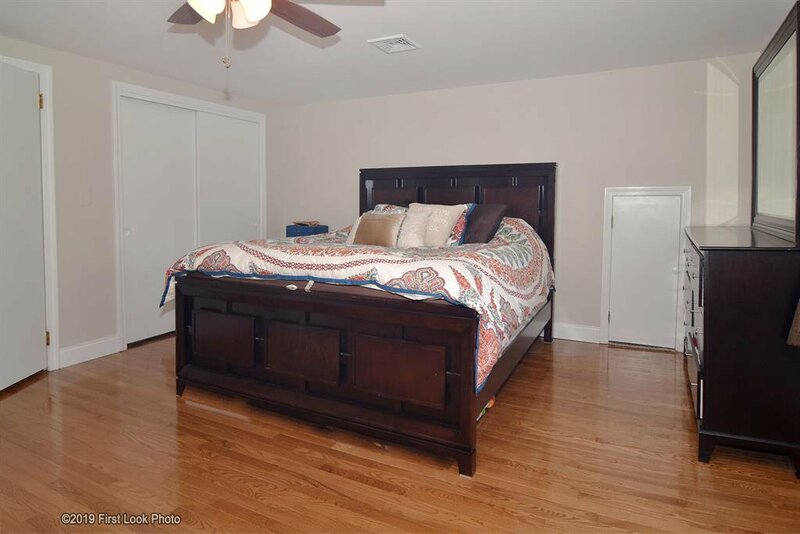 Also on the second floor is another bedroom with built-ins and a walk-in cedar closet. 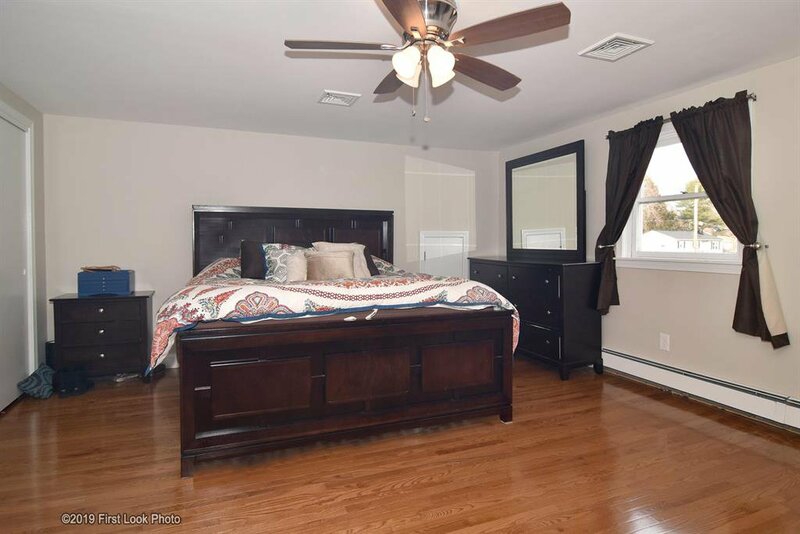 There are hardwood floors throughout the first and second floors. 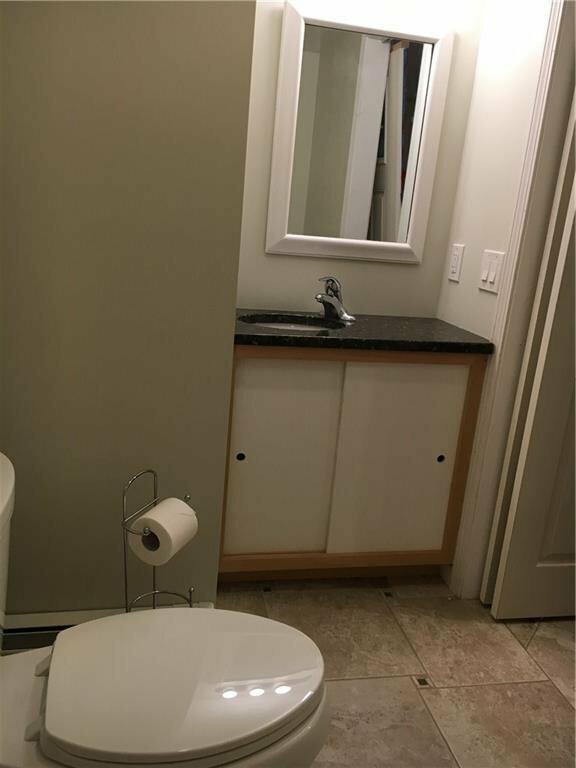 The walkout lower level offers an in-law option, with applianced kitchenette/wet bar and full bath. 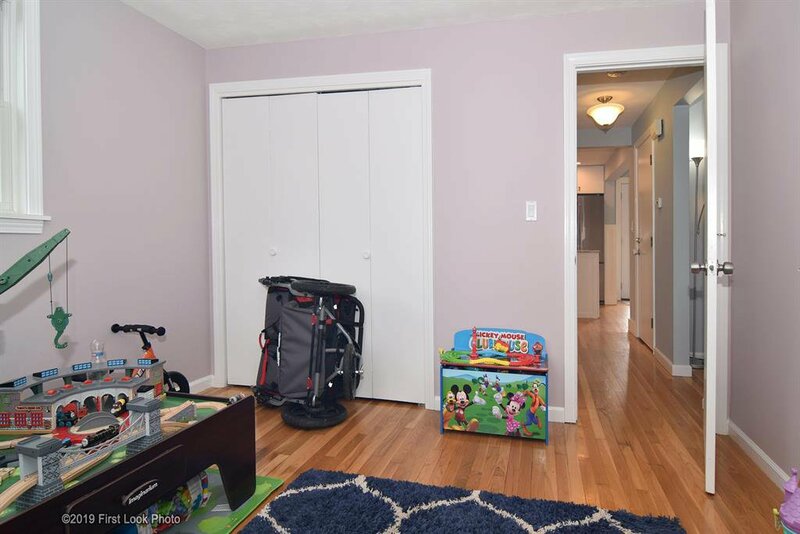 There is a laundry area, utility room and another cedar closet in the lower level. 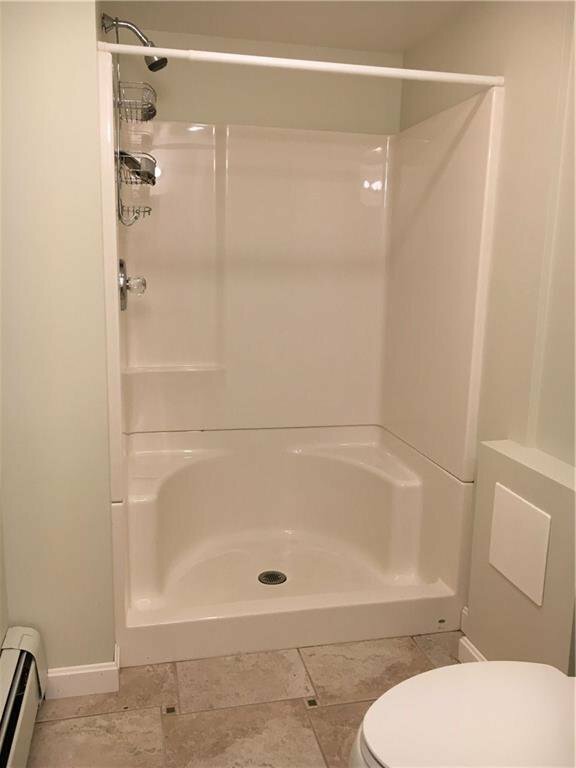 The heating system has been updated and the central air system was added in 2014. 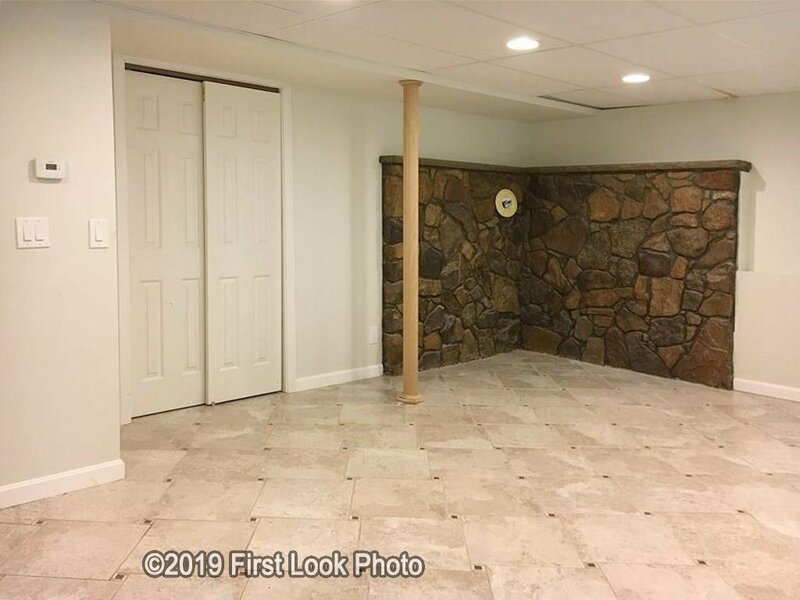 The septic system has also been updated. 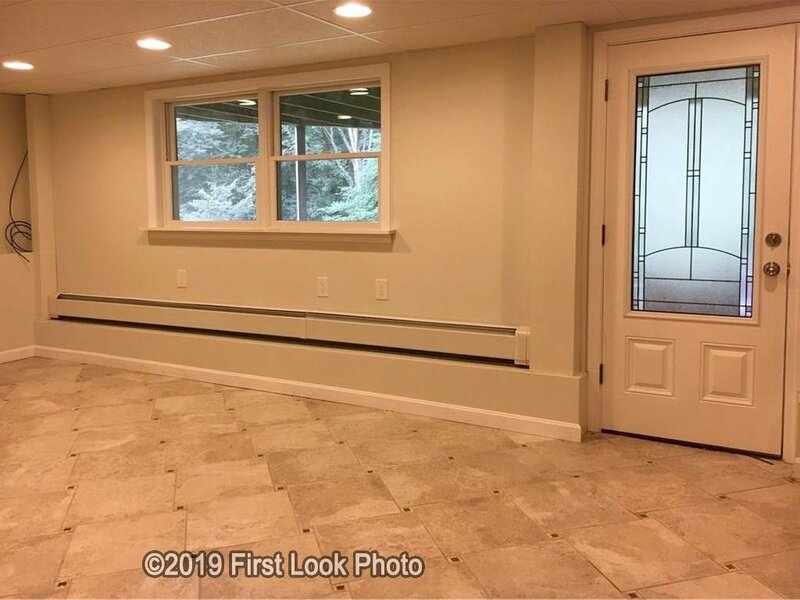 New doors and windows, too! 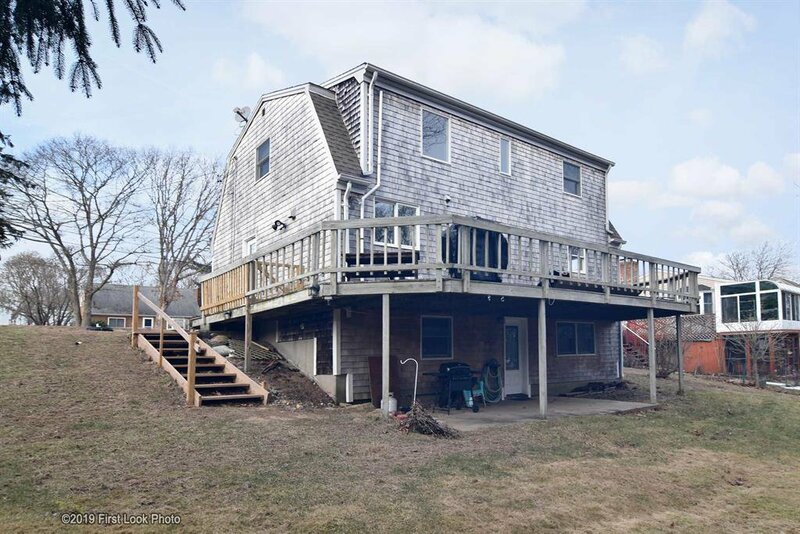 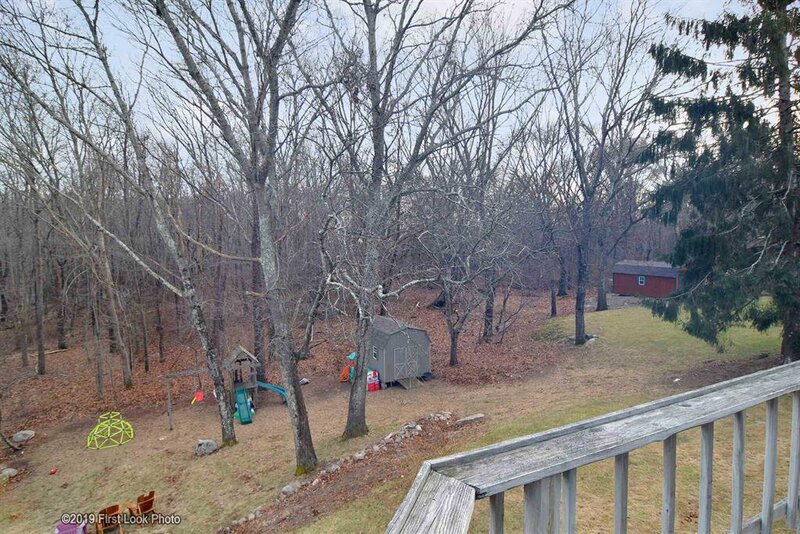 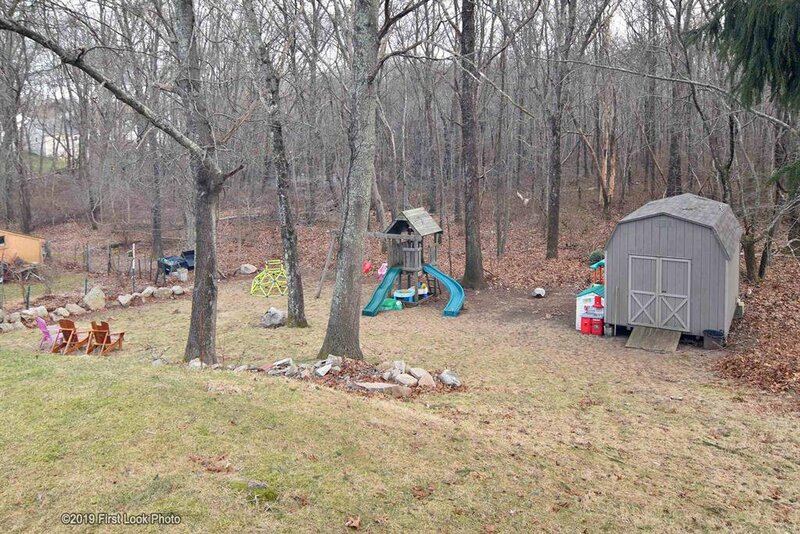 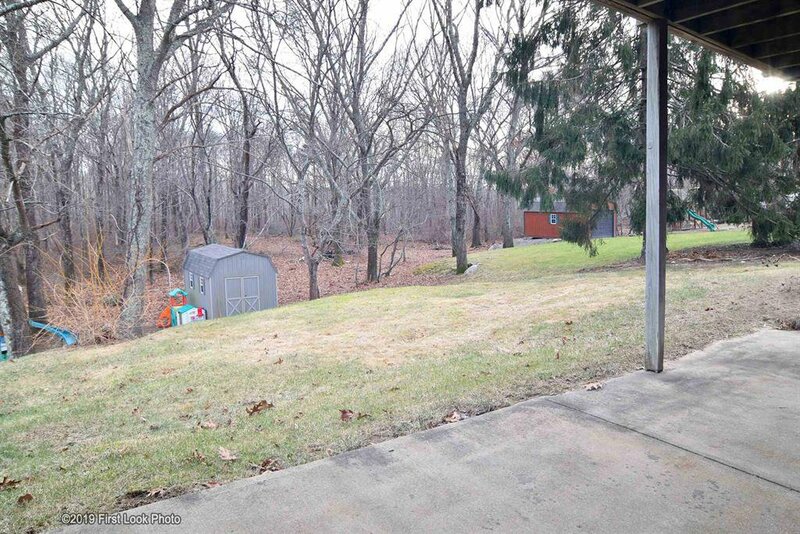 Large deck, shed, wooded rear, neighborhood walking trails to playground and athletic field. 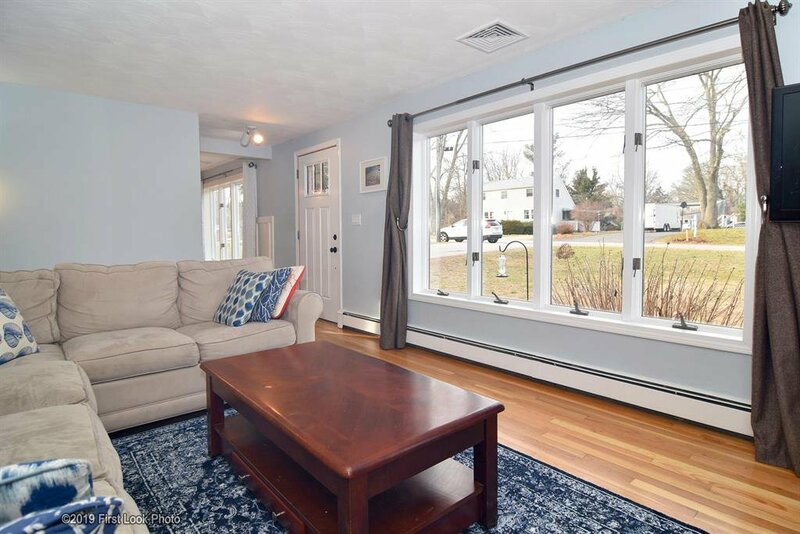 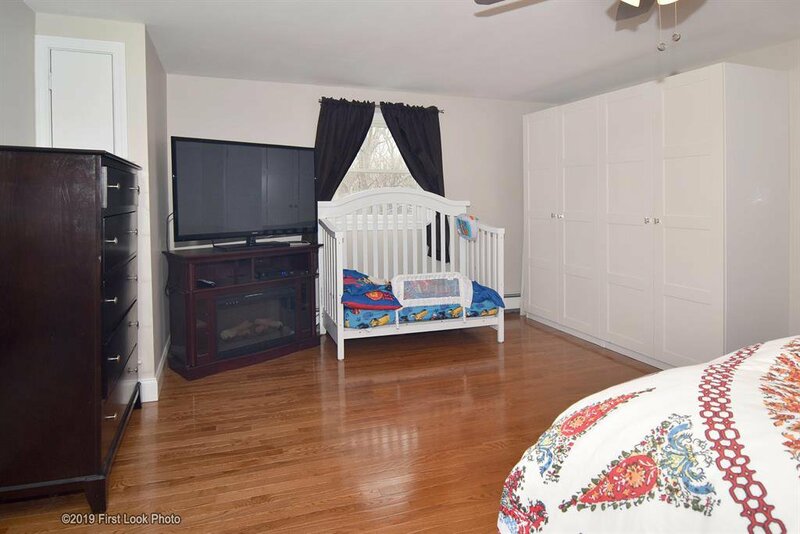 Conveniently located just minutes to shopping, highway, train and URI! 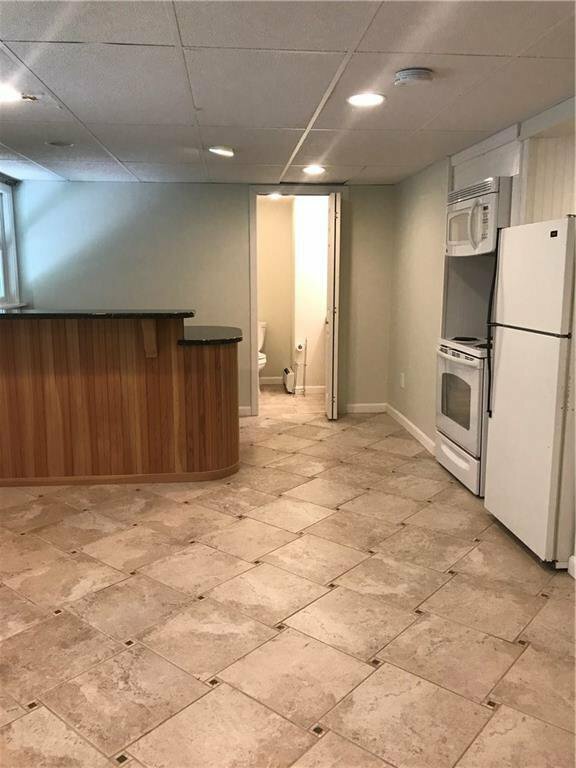 Gas service is available. 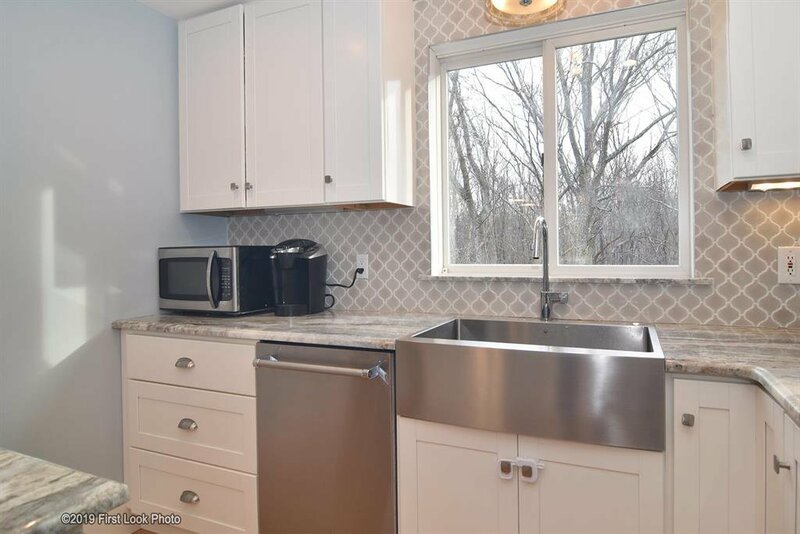 Listing courtesy of RE/MAX Professionals. 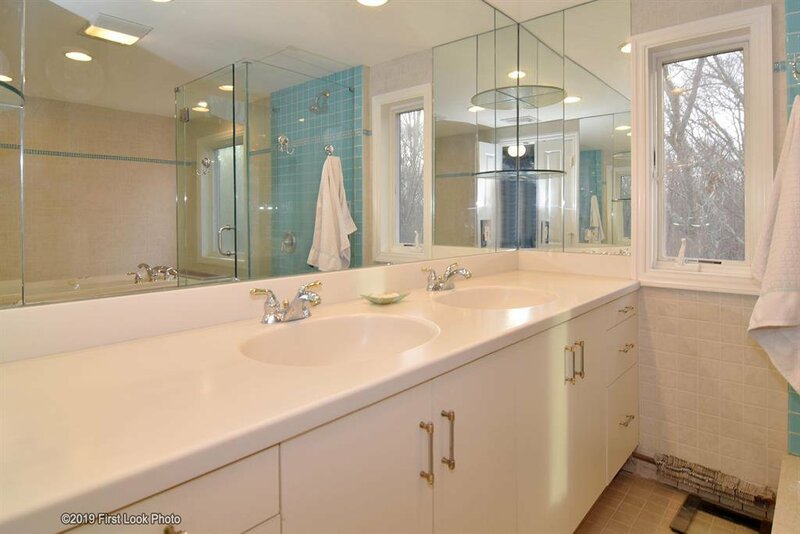 Selling Office: Century 21 Topsail Realty.